The viewers in Eden Gardens have never seen such a shameless worthless talent-less Australian side. 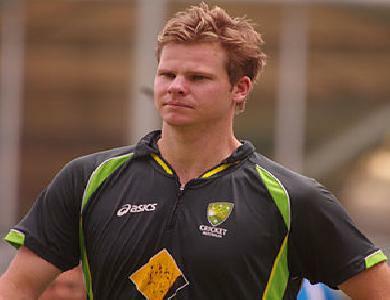 Steve Smith should be sacked as captain. Australia require a new captain, not from the present team but new talent. Jack Kallis Had Remained One Of The Greatest All-rounders Of Modern Test Cricket. Michael Holding As A Fast Bowler Was An Artist. France Came Up As Surprise Package In Fifa World Cup 2014. Dhoni's Bad Captainship Had Destroyed India's T20 Hopes Against Sri Lanka. Germany Thrashed Brazil And Is Hot Favourites To Win The Fifa World Cup 2014. Dale Steyn Is The Best Fast Bowler Of The Last 10 Years. Mitchell Johnson Is The Most Deadly Fast Bowler Of The Present Day Test Match Cricket.